In 1975 fashion “guru” Giorgio Armani launched his first collection. 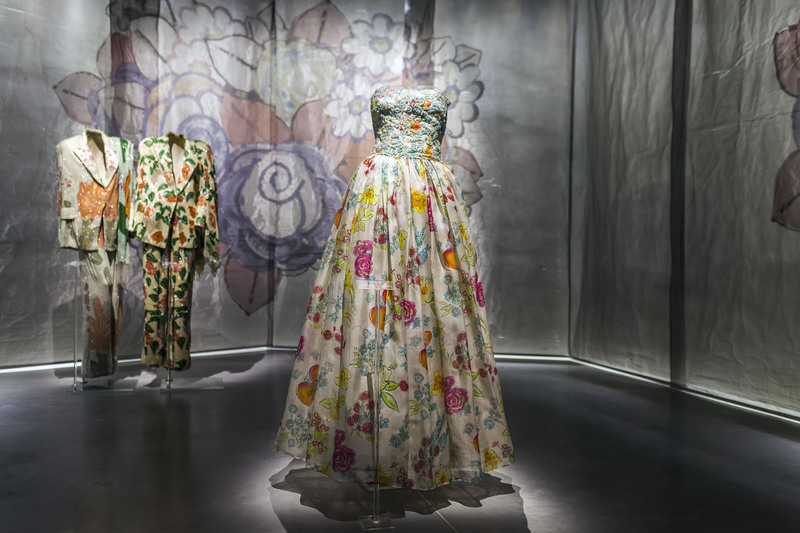 On April 29th and 30th 2015 the famous fashion designer celebrated his brand’s 40th anniversary with two days of events in Milan. 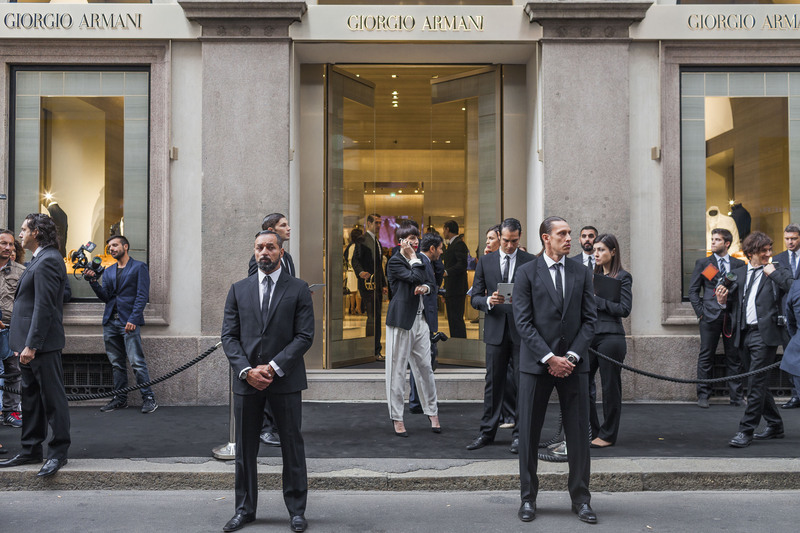 On the first day, guest were invited to a cocktail reception at his boutique in the city center, a dinner reception at the Nobu restaurant, and an after party at Armani Privé. 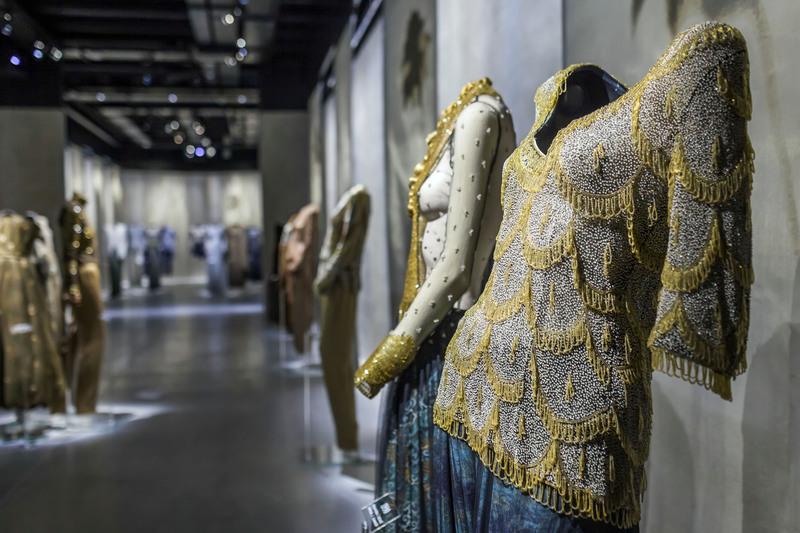 On the second day, they organized the opening of the new museum exhibition space Armani / Silos, a fashion show of clothing collections of Giorgio Armani Privé – line of haute couture launched by Giorgio Armani in 2005 at the Armani Theatre as well as a cocktail party. Numerous guests attended. Among these, Leonardo DiCaprio, Tina Turner, Janet Jackson, Cate Blanchett, Hilary Swank, Pierce Brosnan, Glenn Close, Sofia Loren and Lauren Hutton. 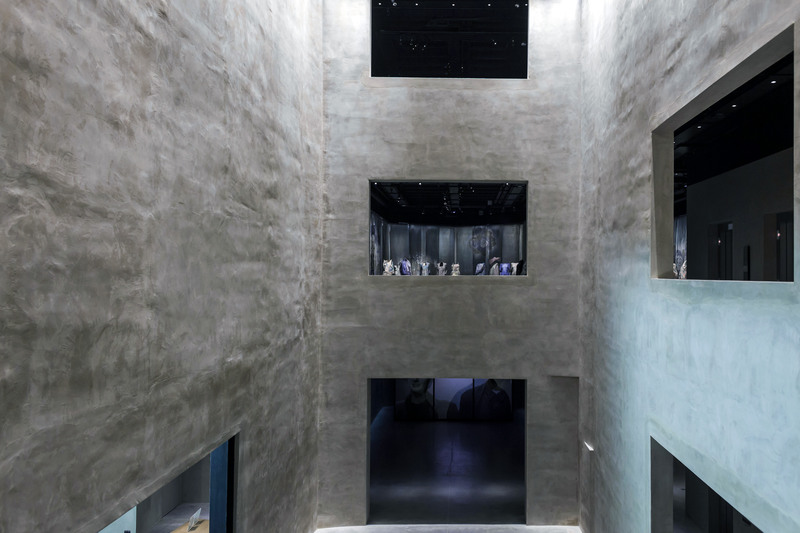 The Silos spans four floors covering an area of 4500 square meters and includes, in addition to the exhibition areas, a digital archive dedicated to the universe of stylistic fashion designer. 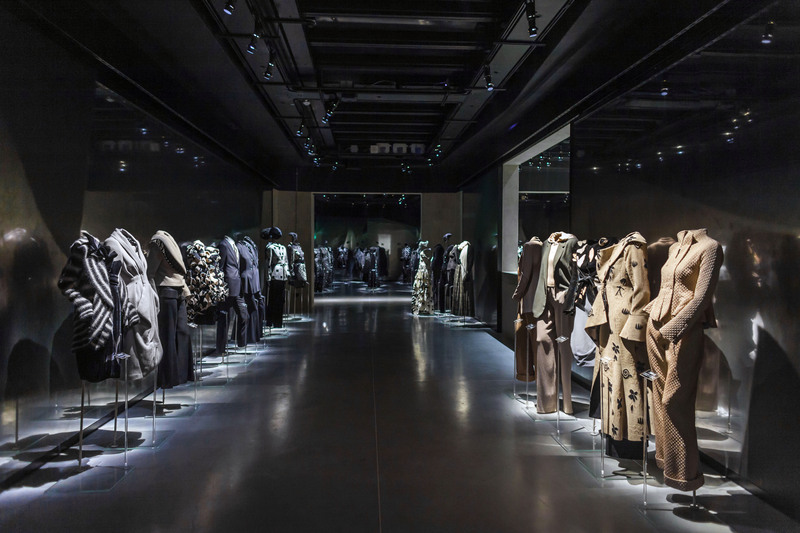 Moreover, the exhibition at Armani/Silos is a real tribute to the fashion house, it is a digression on the 40 years of work by Giorgio Armani and includes over 600 dresses and 200 accessories. 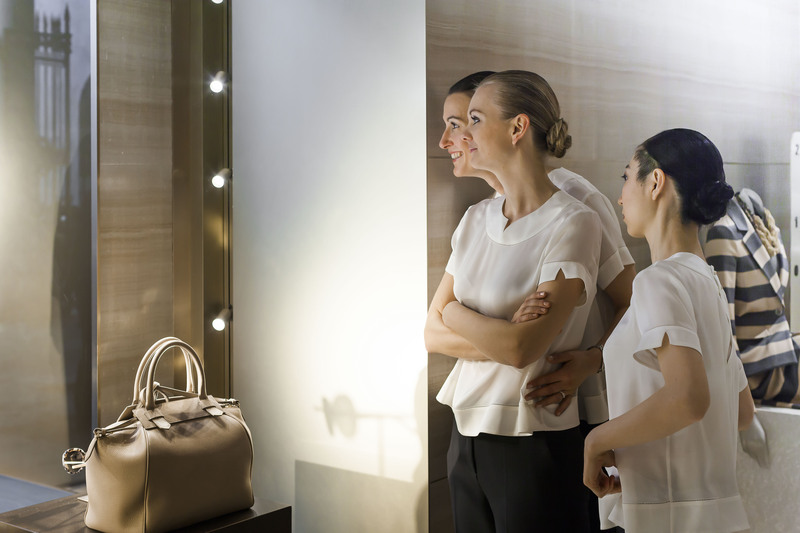 Saleswomen look through a window at the arrival of the guests at a cocktail reception at the Armani Boutique. 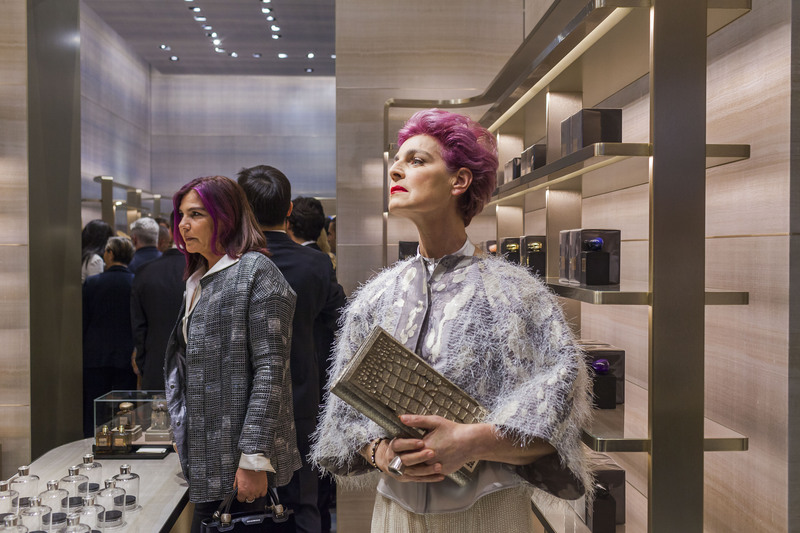 Antonia Dell’Atte at a cocktail reception at the Armani Boutique. Staff members of the Armani fashion house prior the arrival of the guests at a cocktail reception at the Armani Boutique. 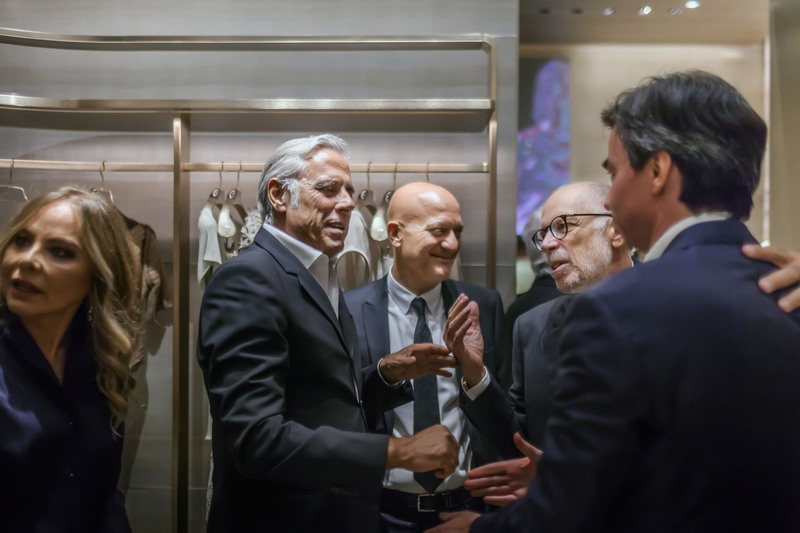 From left: Ornella Muti, Teo Teocoli and Paolo Bisio at a cocktail reception at the Armani Boutique. Sophia Loren hugs Christian De Sica at a cocktail reception at the Armani Boutique. 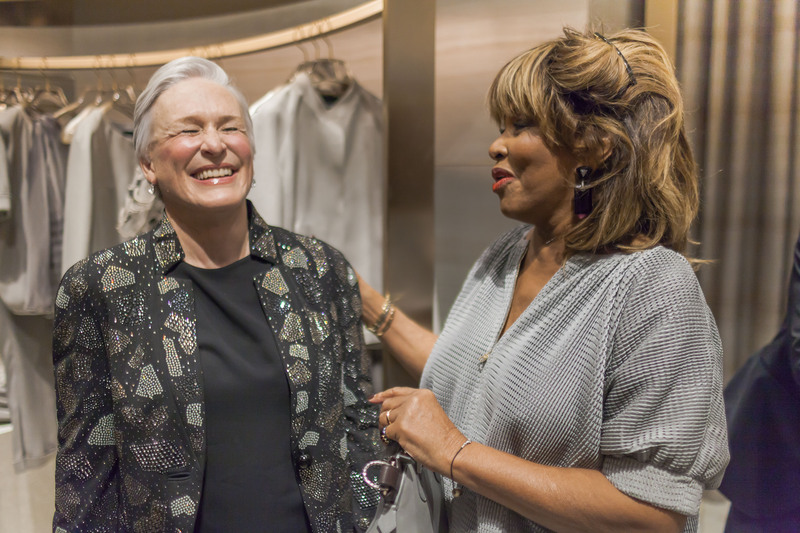 Glenn Close and Tina Turner at a cocktail reception at the Armani Boutique. 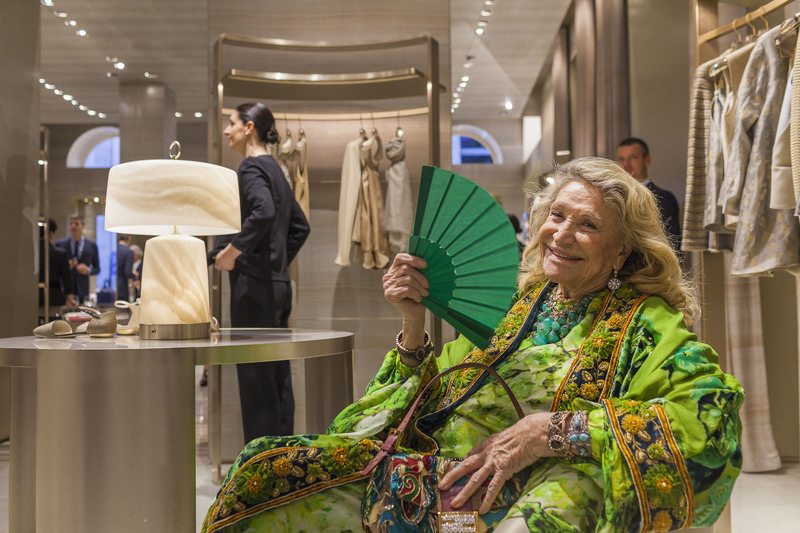 Marta Marzotto at a cocktail reception at the Armani Boutique. Sarah Gadon at a dinner reception at the Nobu restaurant. 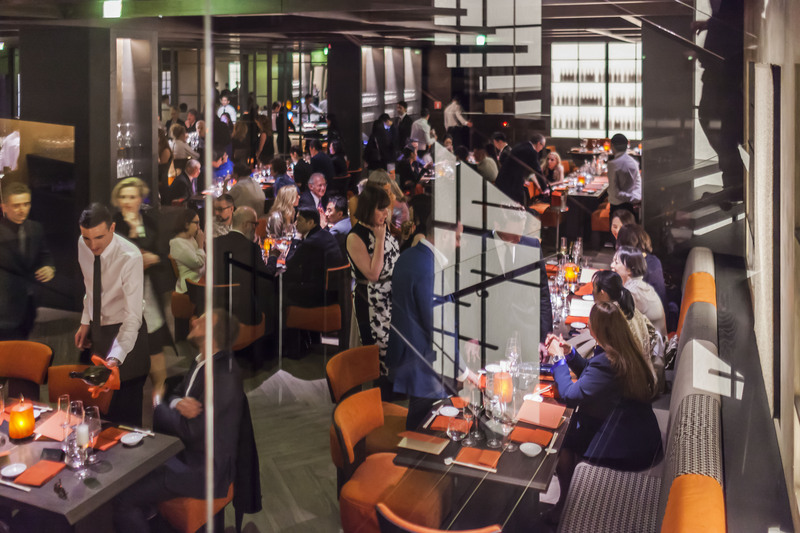 Guests at a dinner reception at the Nobu restaurant. 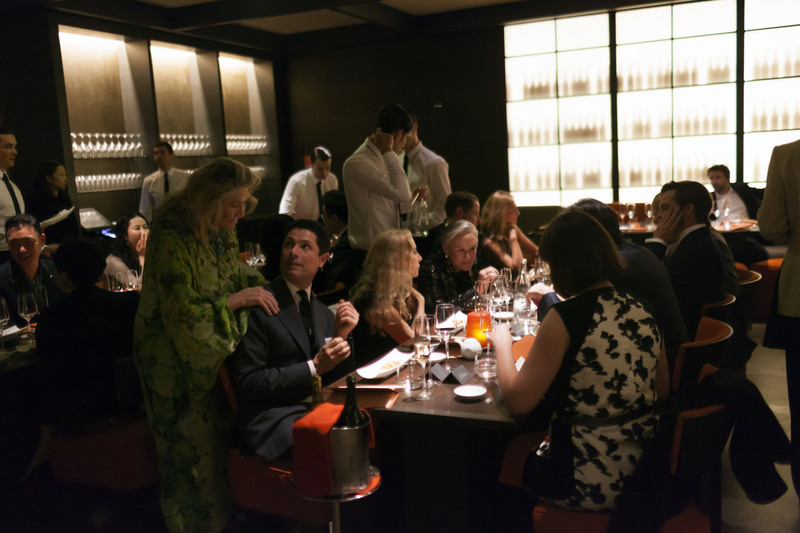 Marta and Matteo Marzotto, Carla Sozzani and Glenn Close at a dinner reception at the Nobu restaurant. 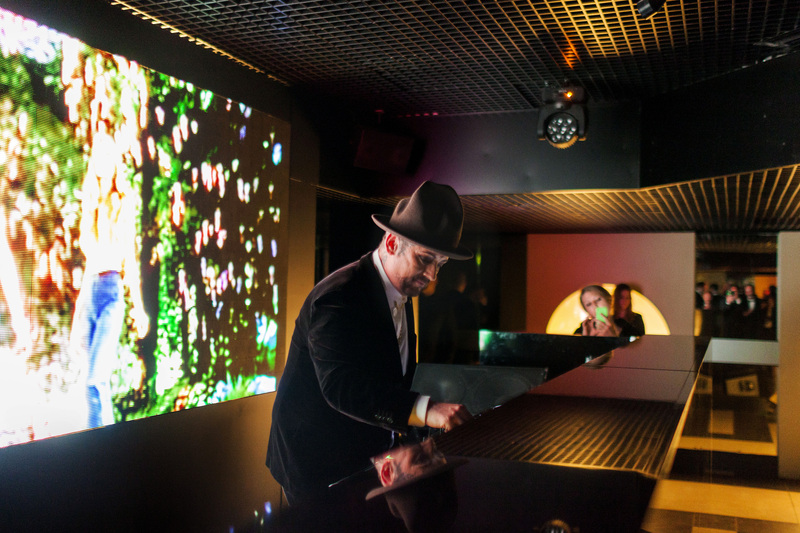 Boy George working as a dj at the after party at the Armani Privé. 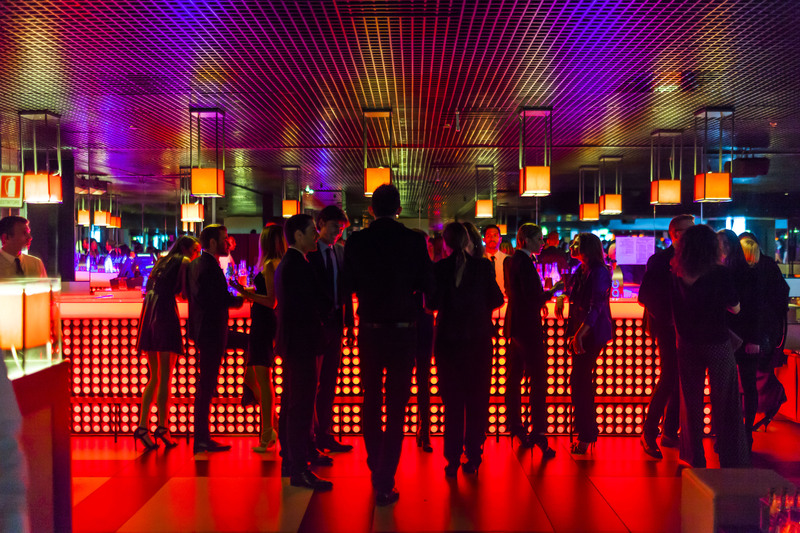 Guests at the after party at the Armani Privé. 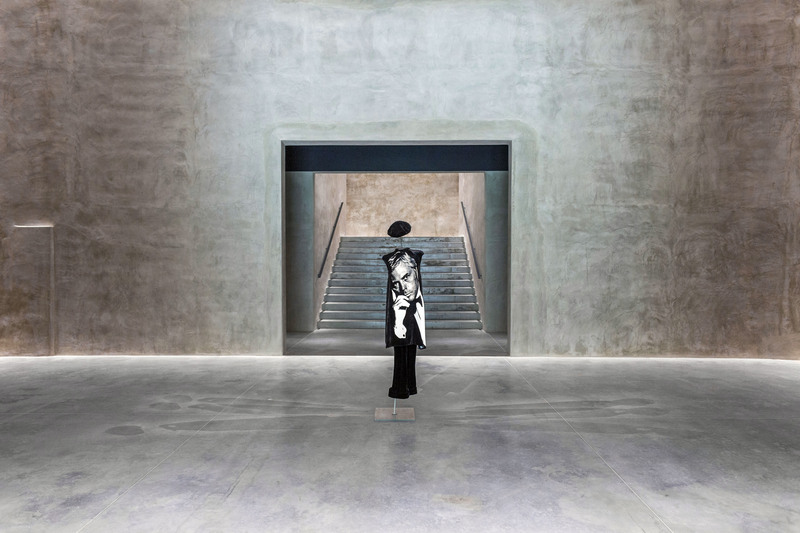 Giorgio Armani portrait depicted on a dress at the entrance of the exhibition at the Armani Silos. 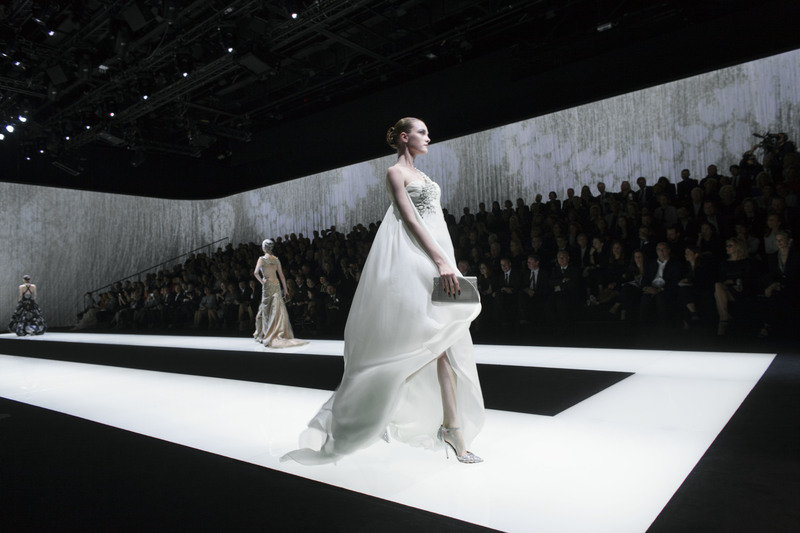 Armani dresses at the exhibition at the Armani Silos. The interior space of the Armani Silos. 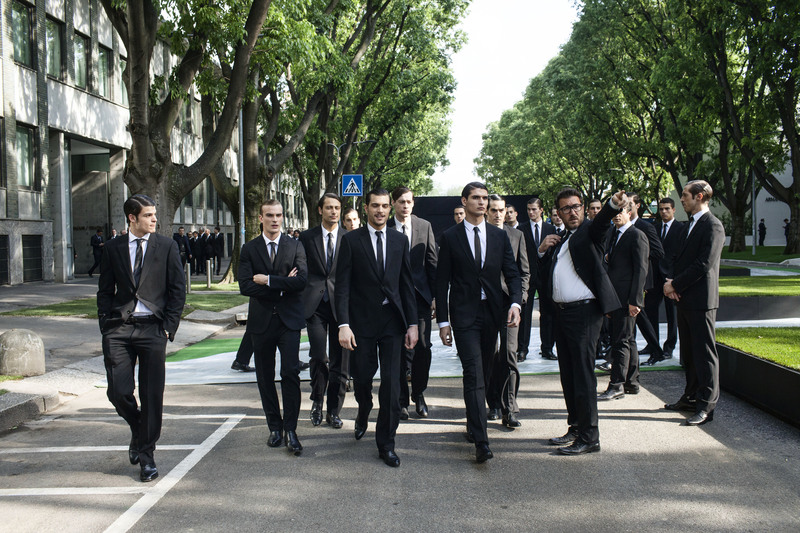 Male models are deployed to function as hosts at the fashion show at Armani Theatre. 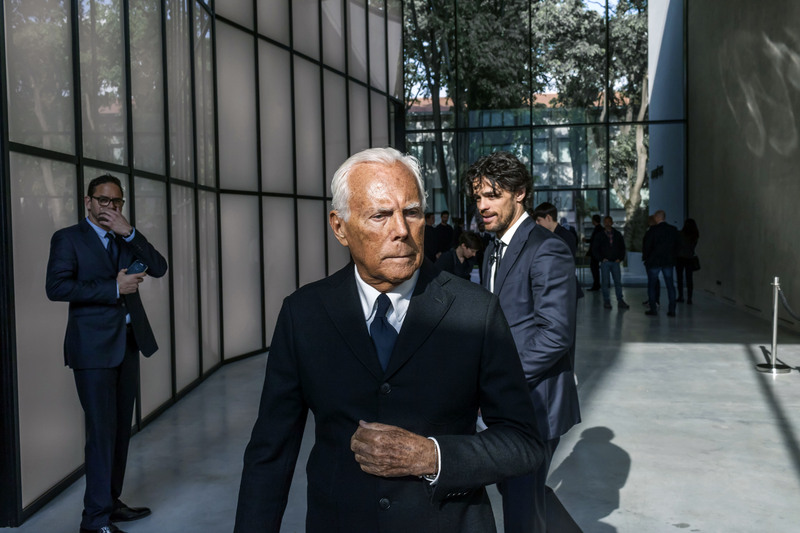 Giorgio Armani prior the opening of Armani Silos. Cleaners working prior the opening of Armani Silos. Male models along a wall at the end of the fashion show at Armani Theatre. Models in the backstage of the Armani Theatre prior the fashion show. Two dressmakers work on a dress in the backstage of the fashion show at the Armani Theatre. Armani staff in the backstage of the fashion show at the Armani Theatre. Anna Dello Russo at the opening of Armani Silos. 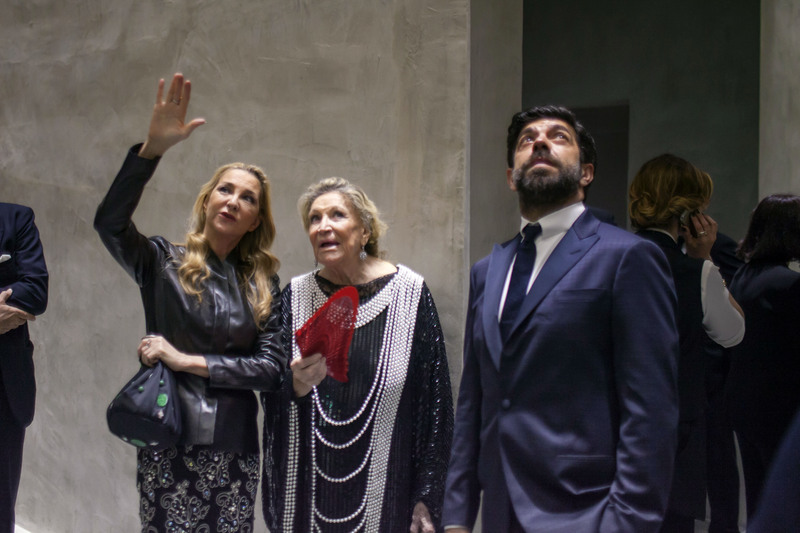 From left: Anna Ferzetti, Marta Marzotto and Pierfrancesco Favino at the opening of Armani Silos. Micol Sabbadini (center) and Anna Dello Russo (right) talk to two other guests at the opening of Armani Silos. Hilary Swank at the opening of Armani Silos. 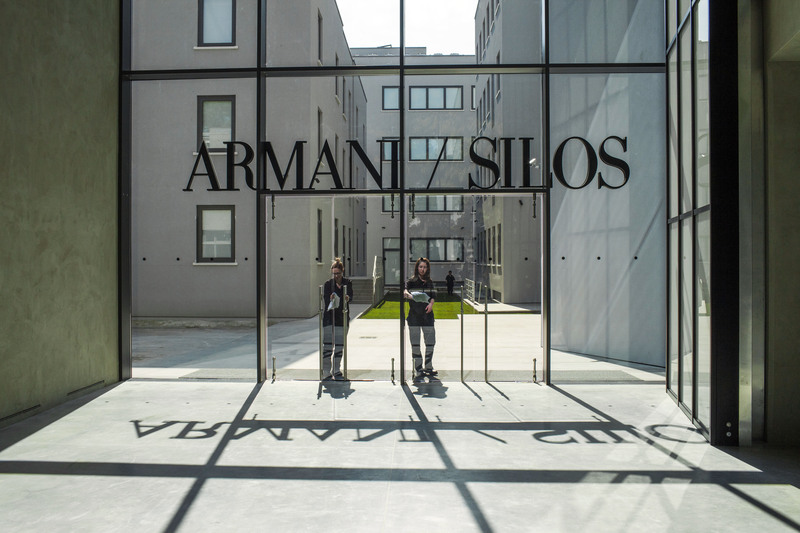 Claudio Amendola and Francesca Neri at the opening of Armani Silos. 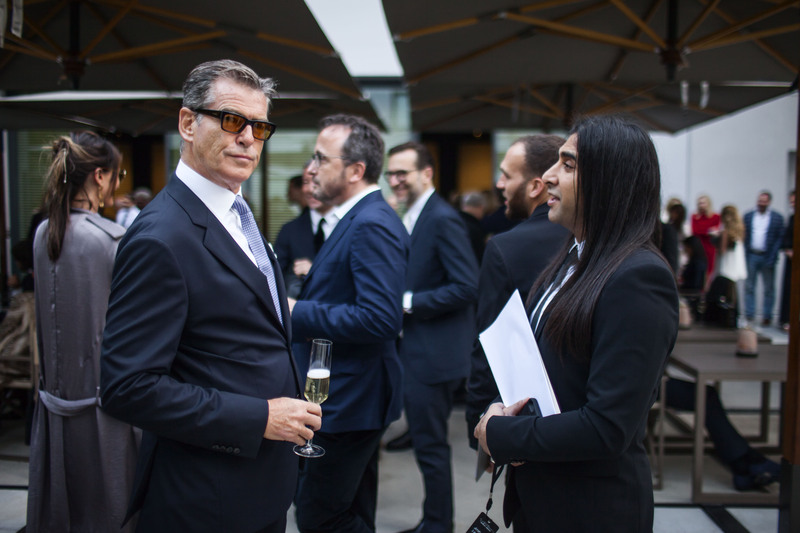 Pierce Brosnan (left) talking to another guest at the opening of Armani Silos. A guest at the opening of Armani Silos on April 30th , 2015 in Milan, Italy. Lucrezia Lante della Rovere is seen at the opening of Armani Silos. From left: Micol Sabbadini and Anna dello Russo are seen at the opening of Armani Silos. Odeya Rush (left) is seen at the opening of Armani Silos. 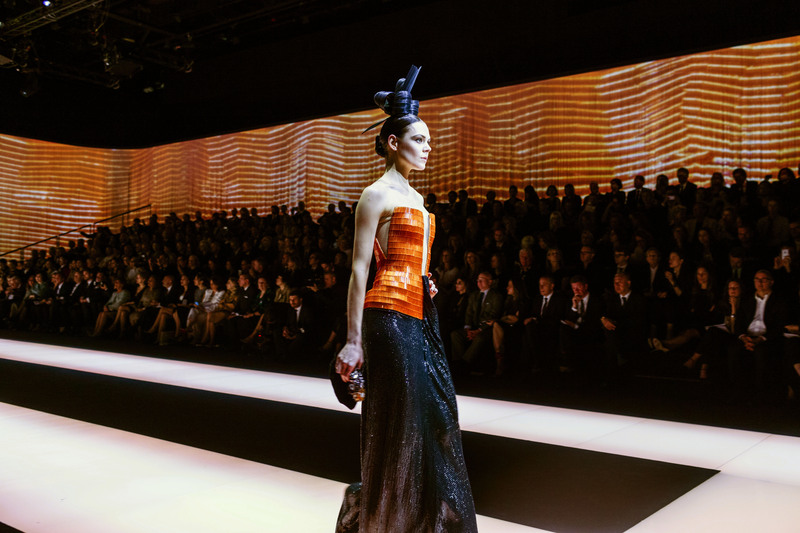 A model is seen on the catwalk during the fashion show at Armani Theatre. 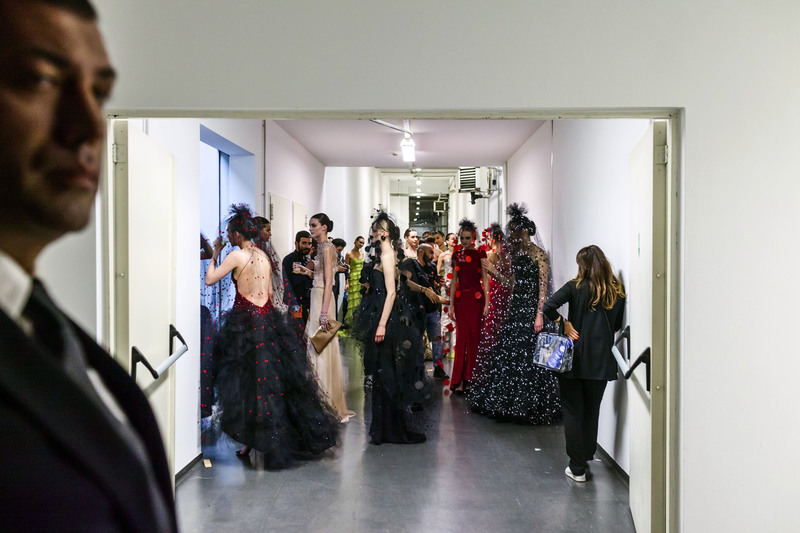 Models are seen dressed in the backstage prior the fashion show at Armani Theatre. 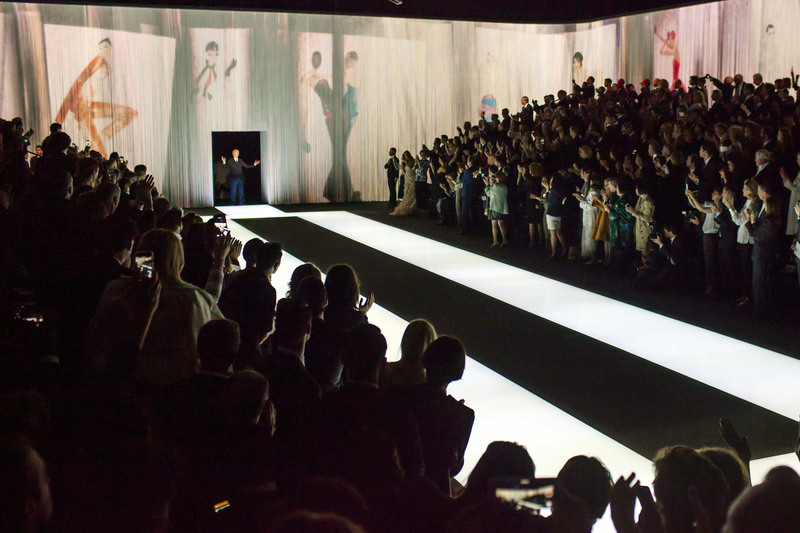 Guest tribute a standing ovation to Giorgio Armani at the end of the fashion show at Armani Theatre.